Ever hear the saying, “a bird in the hand is worth two in the bush”? Setting aside the question of why one would ever want to handle any number of birds, this old adage deserves a second look. Why? Because many small business owners, marketers and sales reps share a simple goal when it comes to customers: Bring in more. Yet did you know that focusing your efforts on retaining existing customers is far more cost-effective? Studies show that it costs about five times more to attract a new customer as it does to keep a current one. In fact, increasing customer retention by just five percent results in 25 to 95 percent higher profits! So while landing that new account may yield immediate satisfaction and excitement, focusing on retaining current customers can have a much larger impact on your bottom line. Read on for four simple strategies that any business can use to improve their customer retention rate. Reducing customer attrition and increasing loyalty is all about improving customer service and building relationships. Personalizing each customer’s experience is key. But how can a small business with limited resources create a highly individualized experience for each customer? The answer lies in customer relationship management software. As any sales rep knows, excellent customer service means so much more than simply looking at a customer’s last QuickBooks invoice. Utilizing CRM software allows you to take a deep dive into a customer’s history, giving you the ability to determine which products or services are most likely to meet a customer’s individual needs. Plus, using a CRM makes it easy to predict not only what a customer will need but when they will need it. This ensures that nothing gets missed or overlooked. Your customers will appreciate receiving detailed and individualized service. These positive, personalized interactions build that all-important relationship which, in turn, increases customer loyalty and boosts your bottom line. When customers feel as though your business makes the effort to know and anticipate their needs, why would they want to look elsewhere? Don’t let your customers forget about your business. Stay on their radar by sending email updates about promotions, special events, new products or services, or any other exciting news about your business. While you want to avoid inundating your contact list with pointless messages, sending regular and relevant updates will keep your company on their minds. The key lies in personalizing your communications, and that’s another area where CRM software comes in handy. Here, you’ll find a goldmine of information that’s ideal for customizing those emails. You may simply choose to use first names rather than “Dear Valued Customer,” or you could use names and cities to personalize subject lines. Take further advantage of the power of your CRM by segmenting your email campaigns. Use custom tags to tailor your emails to customers’ locations, interests, age groups, or other personalized data. This helps to ensure that your email messages are relevant, making customers more likely to open them. You just made a sale… now what? Take advantage of this golden moment when a customer is feeling positive and excited about their purchase! Now is the perfect time to cement their loyalty by offering a discount on their next purchase. For example: after a sale, send an email offering 10 percent off their next purchase within a certain time period. Alternately, you could include a discount code with each product purchased. 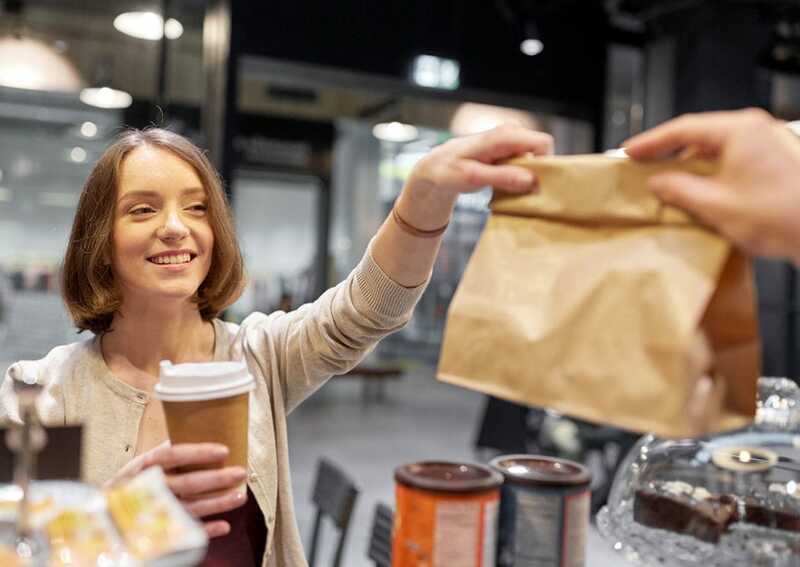 Offering a small incentive may be enough to prolong the glow that comes with making a purchase and extend those feelings of goodwill into another sale. The options are endless, but the goal is to take advantage of any and all selling opportunities. There are a number of software options that can automate lifecycle marketing campaigns, making it hands-off for your team. Social media offers a great way to interact with your customers. Use your accounts to not only give your brand a voice but allow your customers to have a voice too. Responding promptly and authentically to customers on Facebook and Twitter puts a human “face” on your company, which builds customer trust. When customers know they’ll get a response from a real, live person, they’ll be more likely to reach out — and they’ll feel heard and appreciated when they do. You may want to monitor your social media accounts to identify especially engaged customers and reward them with discount codes or special deals. This will help to build loyalty and drive repeat business. Encourage your happy customers to continue engaging with you through social media, as satisfied reviews can go a long way toward building your customer base. Acquiring customers requires an investment of time, effort and resources. Why not take advantage of the work you’ve already put in and focus on retaining those existing customers? Utilize the tools available to you, like CRM software and social media, to maximize your results and make your life easier. Remember, it costs less to retain current customers than it does to attract new ones. By personalizing your communications and interactions, you’ll build loyalty and increase customer retention, giving your bottom line a boost.